Connect returns to the San Antonio sea for a season of pure trance. 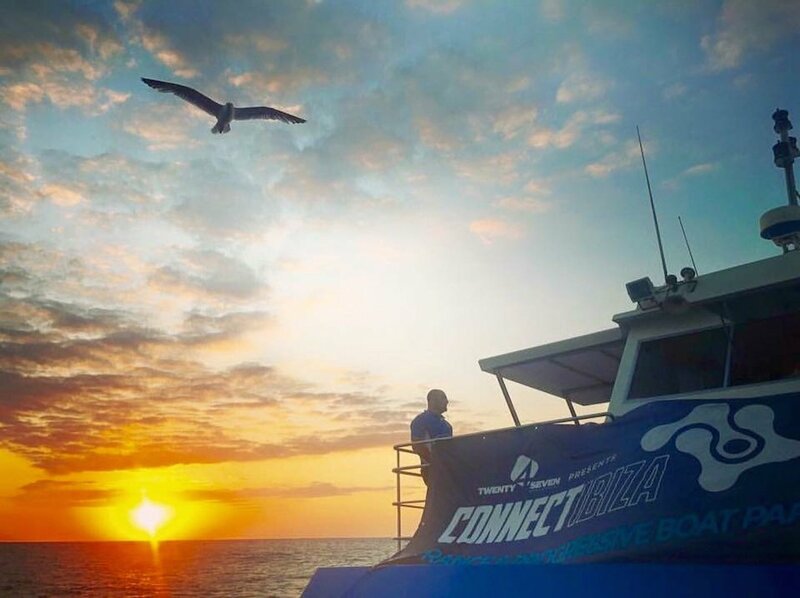 Trance is alive and kicking with parties like Connect Ibiza Boat Party bringing the euphoric sounds to the seas of ibiza in 2017. Starting the 30th of June they are sailing a boat from San Antonio every Friday for 13 weeks. On this boat of bliss you will have four hours of party fun with a great selection of DJs playing trance classics right until the sun sets over the water. With so many DJs playing which day do you choose to go to? Great DJs the likes of Andy Moor, Menno De Jong, The Thrillseekers, Scott Bond, Mike Push, Lange, Richard Durand, RAM, The Thrillseekers, Sied Van Riel, Alex Di Stefano and many others will be playing throughout the summer season. If you are here in August, mark you calendars for a special one. Connect's birthday special on 11 August will feature Future Sound of Egypt label owners Aly & Fila. They will be playing a full set open to close. Anyone who has heard the DJ duo before will know that their sets are phenomenal. The ticket is slightly more for this date, but there is an open bar stocked with booze and snacks. Need we say more? Each party afternoon starts with a rooftop pre-party at Eden. The boat then sets off at 17:30 in June and July and 16:30 in September. After returning to the San Antonio port, the party will carry on the rooftop of Eden and Next, the second room of the club. At midnight you can raise your hands at Connect's sponsored night Trance Family Unite. Separate tickets are available for this event. With tickets now on sale for this hypnotic high seas event, get yourself one and enjoy a Friday afternoon with Connect this summer. Find full details below and get onboard.